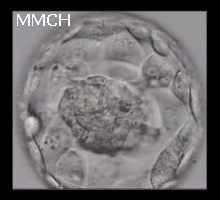 The Blastocyst Culture is considered to be the most ideal way of doing test tube baby, because they mimic natural pattern of growth as they have transit in the fallopian tubes. 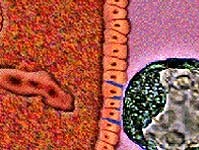 During Natural Cycle Fertilization, in the fallopian tubes the eggs are fertilized by sperms in the outer one third called ampulla. They are slowly rolled towards uterus by peristaltic movements of the tube, and at the end of day 5, they reach the uterine cavity. This stage gives them better sticking capability to the endometrium of uterus, after proper hatching of the blastocyst from the shell called zona pellucida. To gain this advantage by mimicking the natural way, we adopt blastocyst culture system which doubles the implantation rates as compared to day 2 ET. 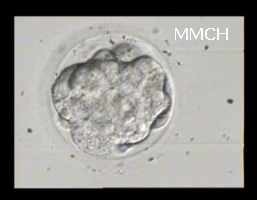 “Sequential Transfer” is considered to be an ideal one for many couples when they have limited no; of embryos and there is meager chance for the left over embryos to grow further. The same physician should undertake both transfers to avoid confusions and by using very soft catheters the injury to sibling embryos and endometrium, are avoided. This technique needs real expertise and patience and the success depends on the physicians integrity and experience in this technology. 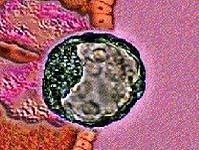 The embryologist should also be sufficiently knowledged and have enough exposure about the BLASTOCYST CULTURE TECHNIQUE. The unique feature of our center as far as the IVF LABORATORY AND SCIENTIFIC WORK are concerned is, it is a complete self satisfied set up, sufficiently furnished with essential, standard and latest equipments for Blastocyst as well as Routine Embryo culture. We have well experienced physicians and embryologists who were trained in pioneering centers worldwide, and we give every day basis IVF service through out year. The 24 hrs patient care in our centre, which has all other departments with experts care make them feel safe and comfortable.